The instrumental surf bands were great, however the other part of surf music were the vocal bands. Most of these groups yielded only one hit wonders. 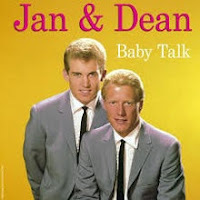 Jan and Dean stand out as an exception and had sixteen hit records from 1959 to 1966. Both were singers, and did not play instruments in their concerts. 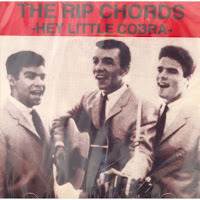 Another surf band of this era was The Rip Chords. 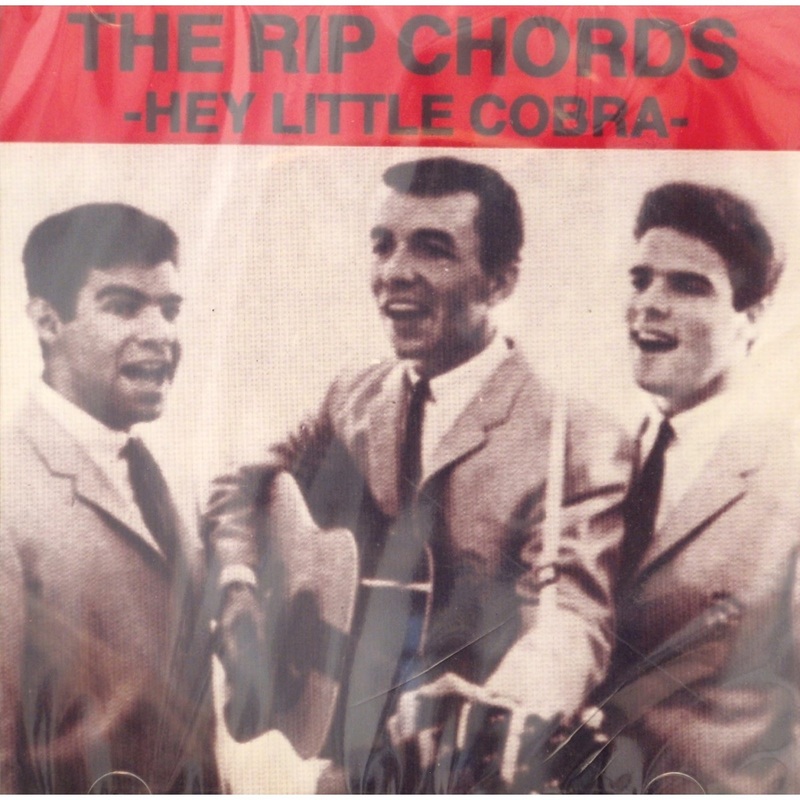 They had a hit with "Hey Little Cobra". Ironically Bruce Johnson, who would go on to become one of the Beach Boys, was a member of this group. 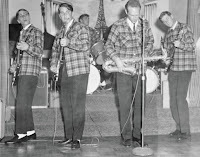 The Hondells were a surf group with great vocals and harmonies. 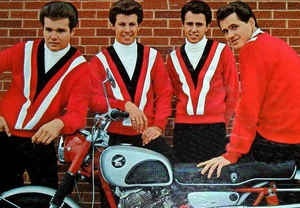 They had a big hit with the Brian Wilson/Mike Love penned song; "Little Honda". 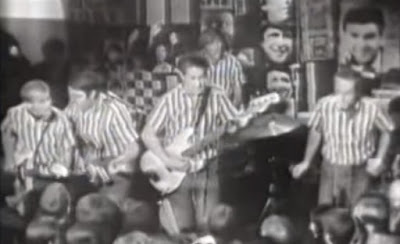 This band was put together by Beach Boy lyricists Roger Christian and Gary Usher. Usher and Christian penned lyrics for many of the Beach Boys Hot Rod songs. 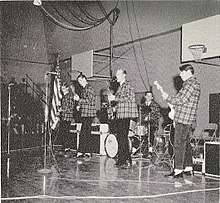 The Hondells started out in the studio, as a fictitious band. They were later assembled with real perfomers after their version of Little Honda became a national hit. Studio musician Chuck Girard sang the vocals on the recording, and members of the Wrecking Crew provided the instrumental support. Girard later to become a well-known Christian singer-songwriter, and member of the Christian band, Love Song. 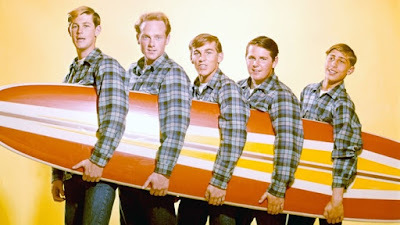 The Hondells appeared in several of the surf based teen movies of the day. 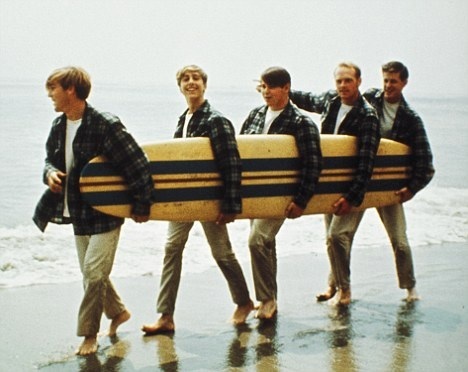 But by far the most famous vocal surf group was The Beach Boys. After five decades, their music still has a strong following with concert goers of all ages. 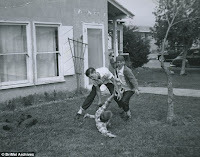 The Wilson brothers grew up in a Hawthorne California bungalow in the 1950’s. 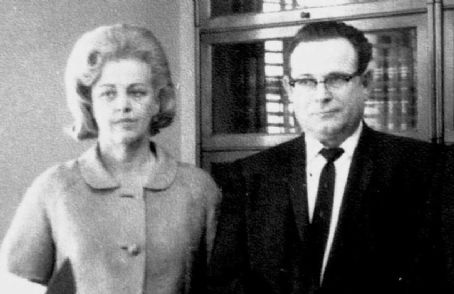 The father of the three Wilson brothers, Murray Wilson, was injured in an industrial accident and lost an eye. During his long recuperation he began writing music, and came out with a couple of popular songs. This launched his career in the music business. His oldest son Brian grew up listening to his father playing piano and organ, By the time Brian was 16, he had taught himself to play piano, and taken some music training in high school. It also helped that his middle class family found joy in singing accapella songs together along with their mother, Audree. Brian also enjoyed listening to the popular music of the day, which included recordings by The Four Freshman, and the hit records by the Ronettes, the Crystals, and Darlene Love. Brian had this amazing inherent ability to hear the different parts of each vocal, and each instrumental segment. This gave him the skill to dissect each musical line in his head. Some study at a music conservatory for years to develop this craft. Brian was blessed with this gift. 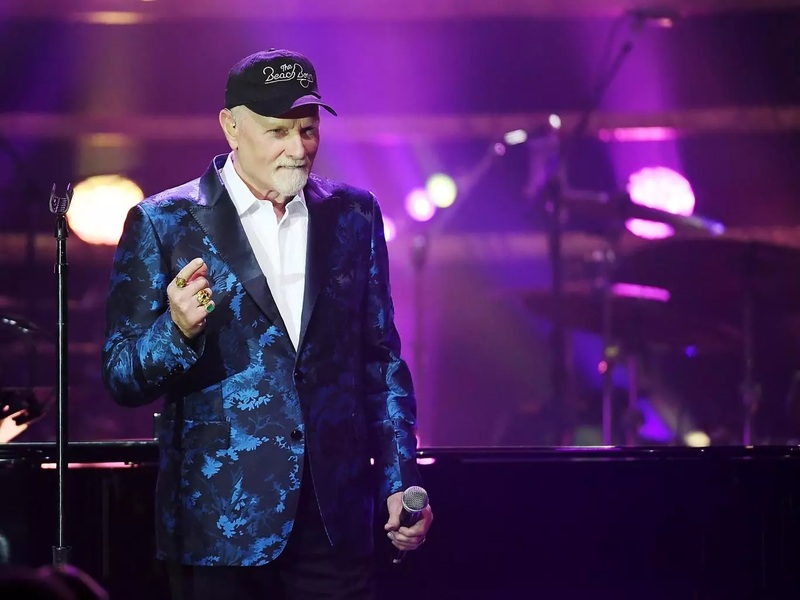 Brian shared a bedroom with his brothers Dennis, and Carl, and for fun he recruited them, neighbor David Marks, and the Wilson's cousin, Mike Love, as well as friend Alan Jardine, to sing harmonies on the songs that he loved. The Wilson boys would even sing in harmony for their family gatherings. Later on Brian received a reel-to-reel tape recorder and learned how to overdub vocals. This lead to further recording adventures. Once when the parents left the boys alone, to take a brief get-away to Mexico, Brian and his brothers used the money that their father left them to buy food and went to Hogan’s Music store and rented two guitars, a bass guitar, a drum kit, an amplifier, and a microphone. 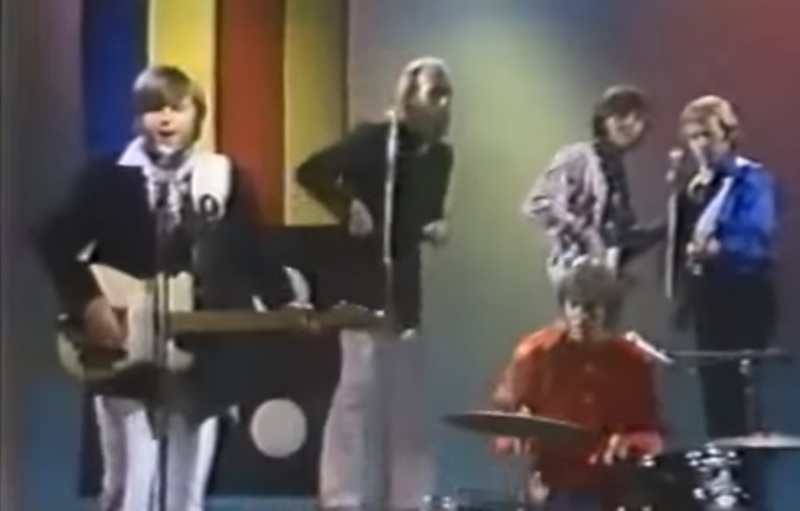 They then came home and recorded a song that Brian had written called “Surfin". 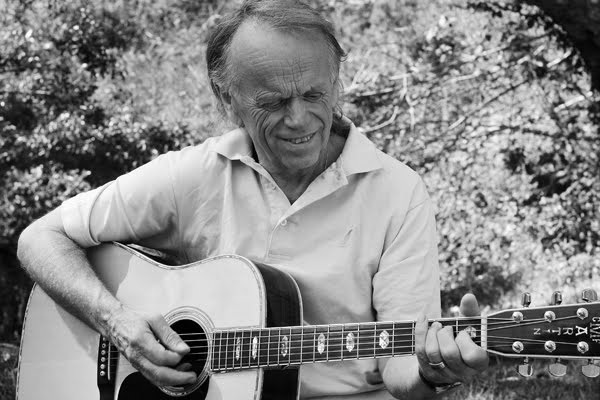 Another version states that Al Jardine's mother financed the equipment rental. This may be more plausible, since an adult would have to sign a rental agreement. As Dennis was the only surfer in the group, and we can thank him for prodding Brian to write this song. 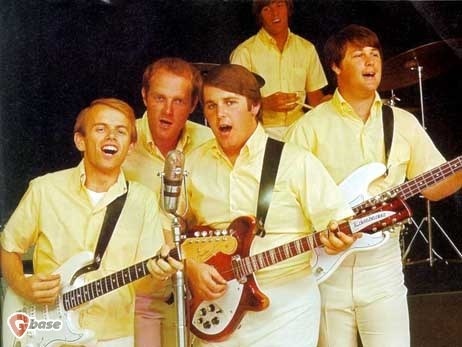 If not for him, the Beach Boys may have been a long forgotten Folk music group. By the time the parents arrived home from their trip, the father, Murray, was furious that the boys had used all the food money to rent instruments, until he listened to the recording and realized that his sons were very talented. 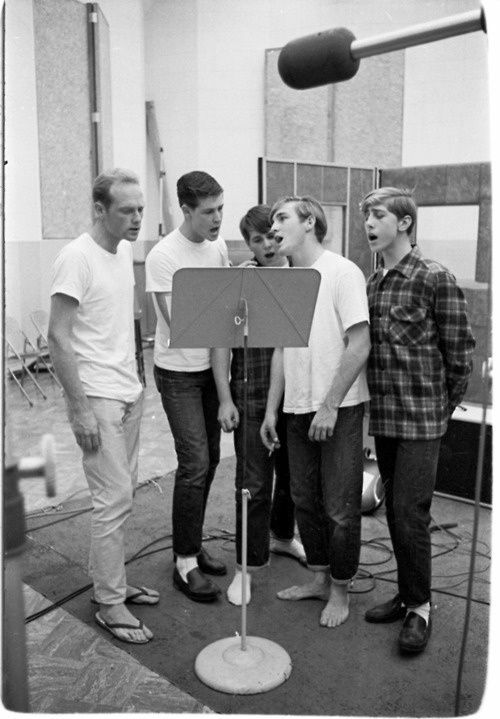 Murray took the boys to a recording studio to make professional demos of two surfing songs that Brian and Mike had written, then he shopped them around to record promoters. 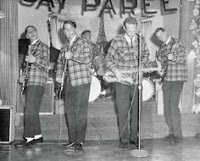 At the time the band was known as The Pendletones. Eventually Candix Records picked up their songs and released the demos as promotional records. 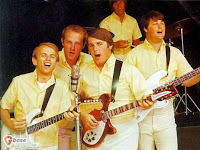 The company had changed the name to The Beach Boys by one of the companies promoters without telling the group. At first the members disliked the name, but it stuck and their fame grew. 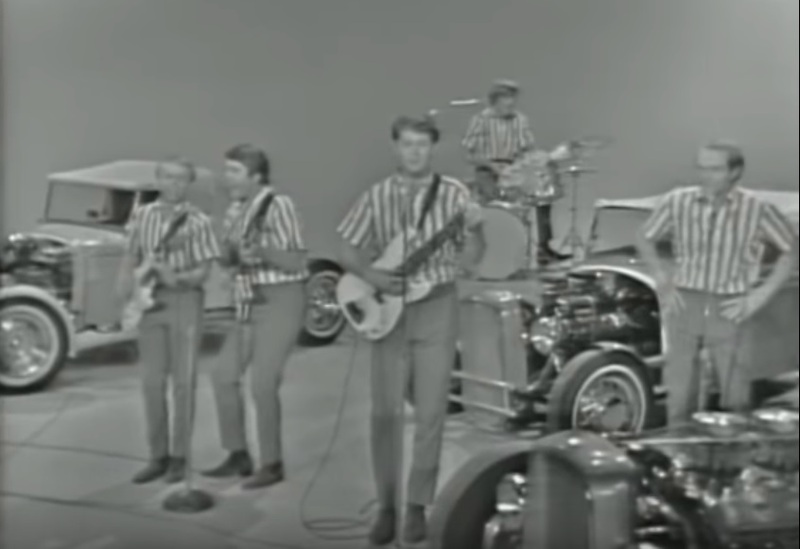 From 1961 to 1966 The Beach Boys had a string of hits, with lyrics about surfing, cars, summer, and high school life, which pretty much summed up white youth culture in Southern California during this era; a culture that much of the rest of the United States envied. Their first hit was Surfin', later followed up by Surfin' Safari. 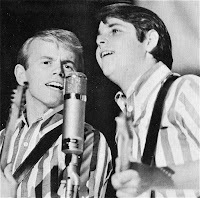 In 1962, Al Jardine left the group to go to college and was replaced by original member David Marks. 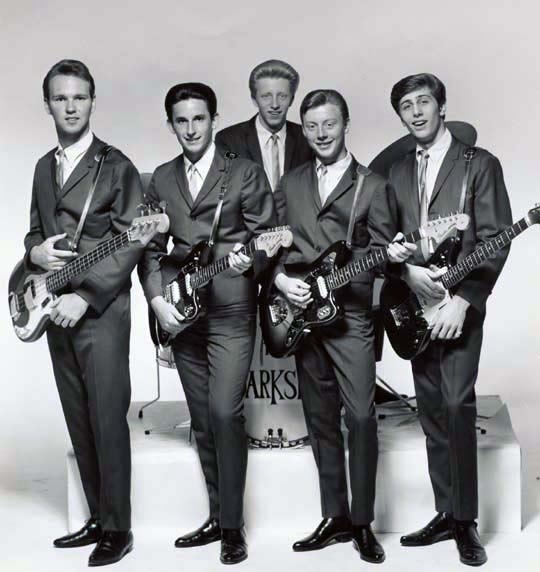 Marks was still a teen in school when the groups success lead to touring. Brian continued to write the music for hit songs, though all of the lyrics were done by co-writers, which at times included Mike Love. Brian did not like to tour and was having some emotional and health issues. In 1964 he had a traumatic panic attack during a chartered flight. After that experience, he told the group that he could no longer perform, and wanted to stay home and write music. Around this same time, Al Jardine was dissatisfied with undergraduate school, wanted back in the music business. He was invited back to play bass guitar and sing Brian's vocal parts. By late 1963, David Marks could take no more of the heavy handed approach of Murray Wilson, the father of the Wilson boys, and their self-appointed manager. Marks left the group, and Al Jardine, who by now had taken Brian's place as the Beach Boys bass player took over the rhythm guitar parts. A new bass player was recruited. The job fell briefly to Glen Campbell, and later in 1965 Bruce Johnston, officially became a Beach Boy. Within a few years, Brian was feeling the pressure of writing music, producing and arranging music, recording the music, and fending off the critical directions from his father. In a difficult move, Brian became angry with his father's continual fault finding. 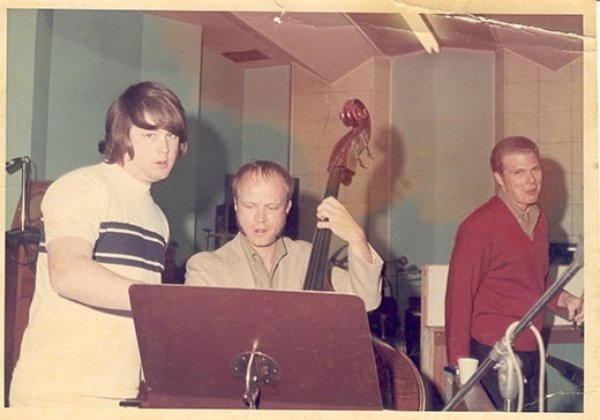 During a recording session at Capitol Records, while Murray was barking orders, Brian shoved his father against a wall, fired him as the groups manager and ordered him to leave. Brian Wilson realized that Surf Music, and songs about Hot Rods, high school life, and endless summer were but a fad, and turned his attention to other themes for The Beach Boys music. 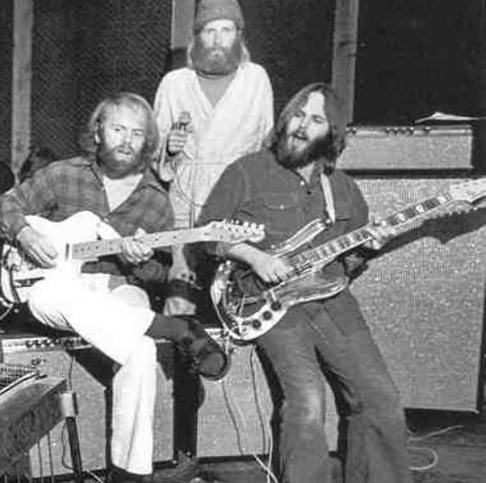 Though the band members, especially Mike Love, were apprehensive about "killing off their magic formula". This was actually turned out to be a great move and it accounted for the groups longevity. 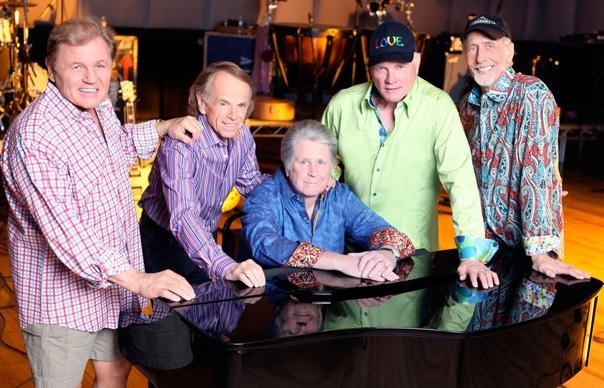 At age 75, Brian Wilson, Mike Love, and Al Jardine have celebrated over 50 years as The Beach Boys. They have outlasted most of their peers, and survived the death of some of the group members; Dennis, and Carl. They have lived through divorce, illness, and lawsuits. 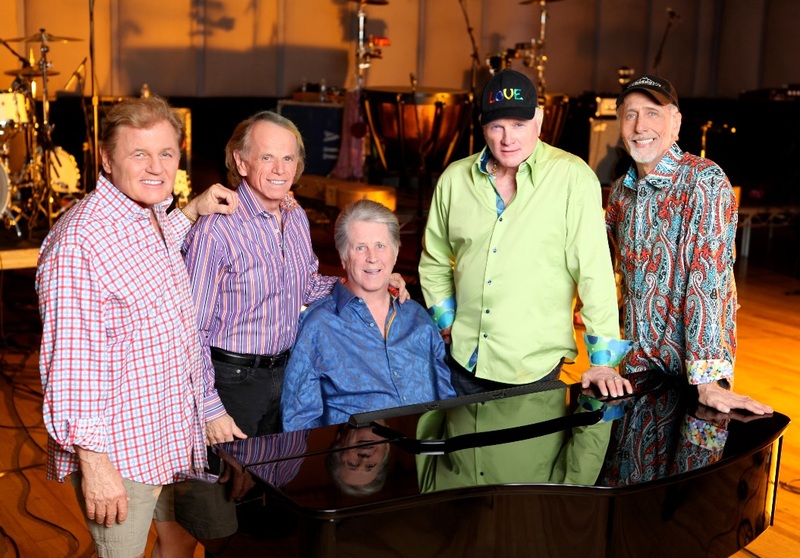 Presently Mike Love is touring with a band known as The Beach Boys. Through the years the band has reinvented themselves and hired younger musicians to perform in concert. Brian has overcome his personal demons and has been on the road for years, and is still writing new songs. 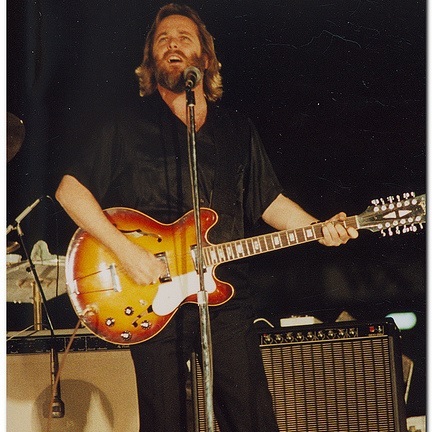 Al Jardine, and Carl Wilson never claimed to be great guitarists, but they were certainly good enough to play in concert. 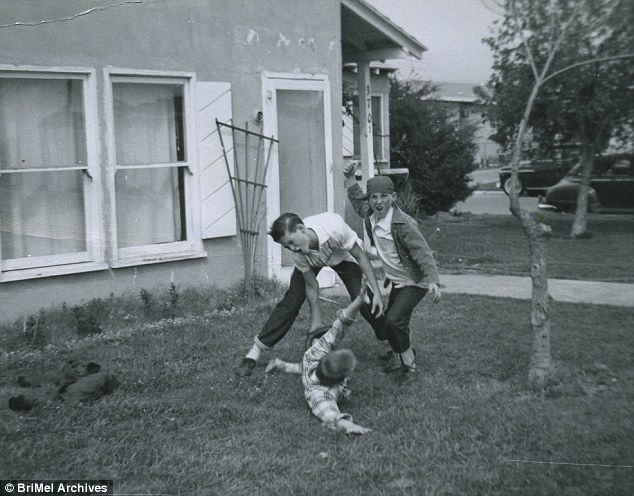 Dennis Wilson life was all about having a good time. He was never a great drummer, but he could sure keep the beat, and kept the eyes of the ladies. Dennis also wrote some wonderful songs. In my opinion, the original recordings were great. The band members played their own played instruments on all of those albums. 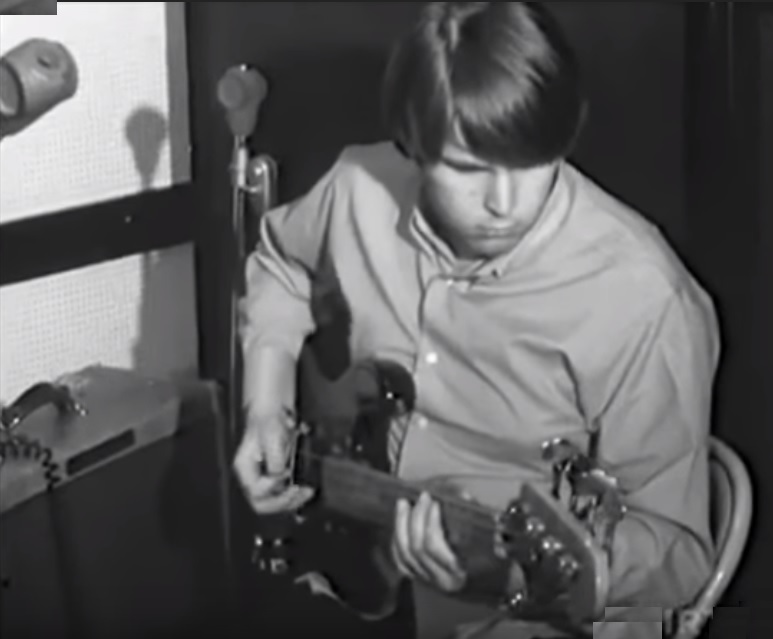 When Brian made Pet Sounds and hired professional studio players to play the instrumental parts on their recordings, the Beach Boys sound changed dramatically. I believe Brian's desire to create huge orchestrated productions of his songs stemmed from a desire he had in the back of his mind for many years. 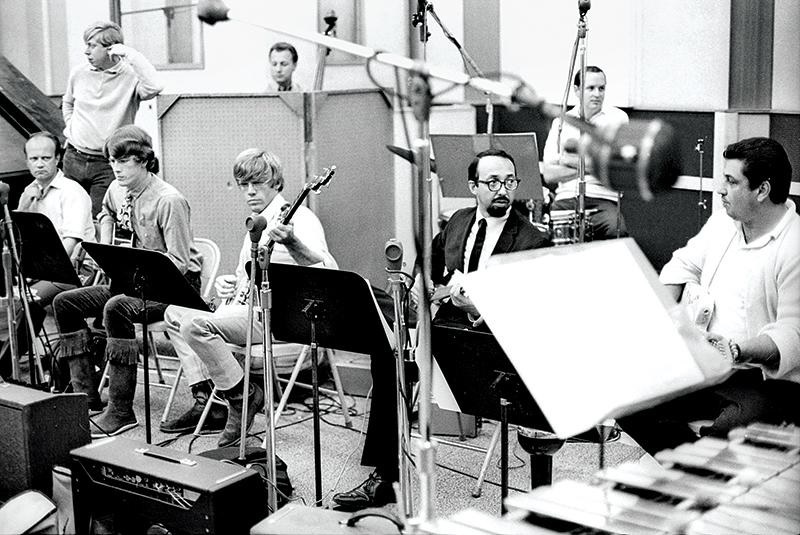 Brian always had a huge admiration for Phil Spector's production technique, and showed up at his recording sessions, just to watch Spector create his "Wall of Sound". 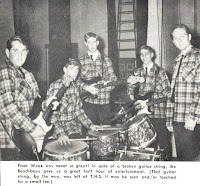 Brian and his brothers also had a friendship with John Maus of the Walker Brothers. 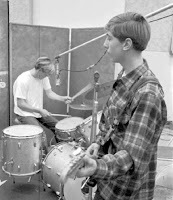 The Walker Brothers songs had backing arrangements similar to those Brian was about to develop. 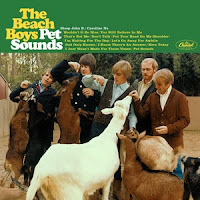 The Pet Sounds album was a huge musical turning point in the Beach Boys career. Brian coaches bassist Lyle Ritz. Brian had all these sounds and arrangements in his mind and needed to get them on record. He could not get this sound with just two guitars, a bass and drums. 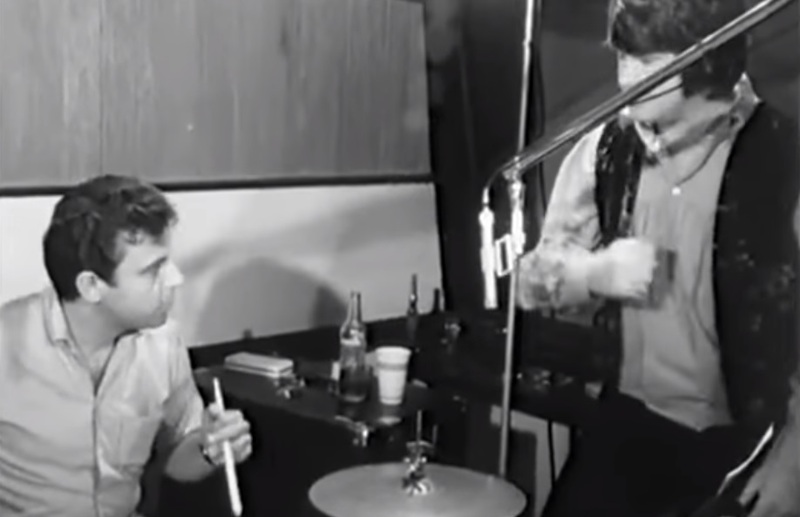 So he hired a group of studio musicians that eventually came to be known as The Wrecking Crew. 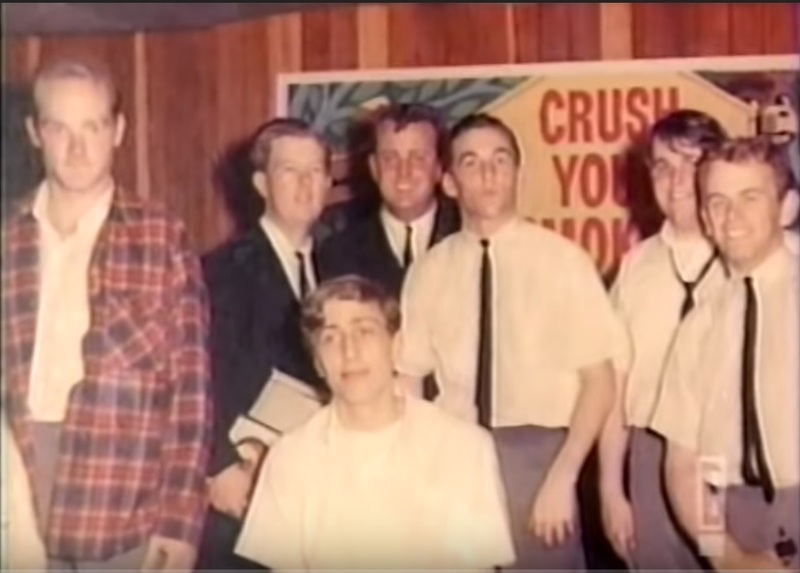 At first the "Wrecking Crew" was a derogatory slur given to this group of players by the "suits" that usually did the background music for Capitol Records arrangements. They thought these musicians were going to wreck the industry by playing pop music, instead of contributing their talent to recordings like Montavani's 1000 strings. 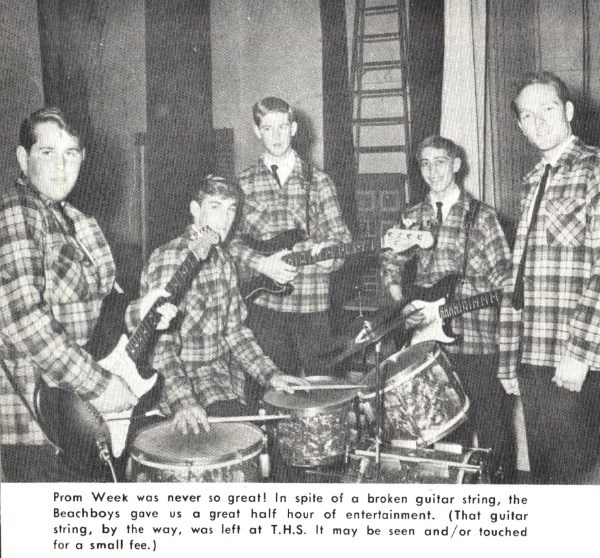 Years later members of the "Wrecking Crew" embraced the term. You hear them play on literally thousands of popular hit songs from the 1960's through the 1980's, that were made by thousands of artists. None of the members ever got credit for their work. These musicians loved working for Brian. His sessions were long, and the players were paid by the hour. Pet Sounds wound up costing over $70,000 to make and it was not at all financially successful. At the time the fan base may not have understood the direction that The Beach Boys had taken. 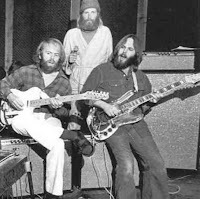 But it yielded four of The Beach Boys best songs; Wouldn't It Be Nice, Sloop John B, God Only Knows, and the mournful Caroline No (which lyricist Tony Asher originally wrote as "Carol, I Know", but Brian misunderstood). 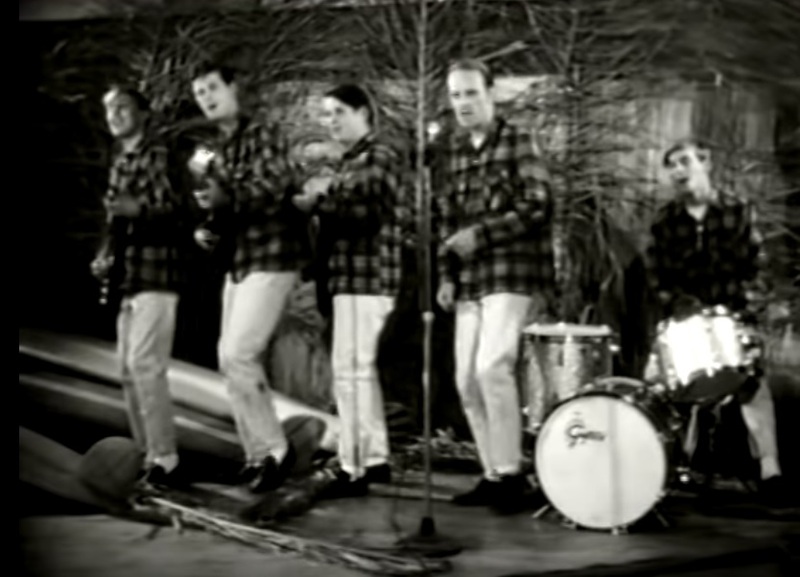 In an effort to recoup their money, Capitol Records did not wait long after the release of Pet Sounds, to release a compilation album called The Beach Boys Greatest Hits. 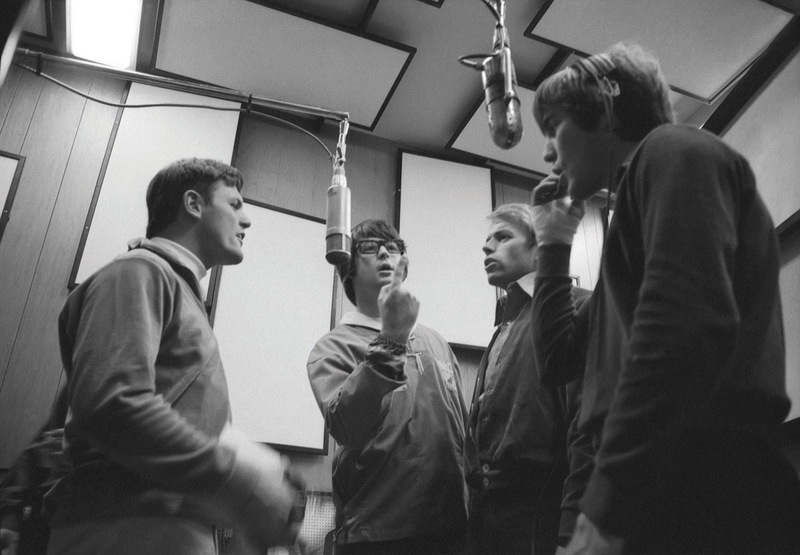 During the early days, between tour dates Al, Carl, Mike, and the new guy, Bruce Johnston, would go to the studio with Brian and lay down the vocal tracks over the already recorded music tracks. 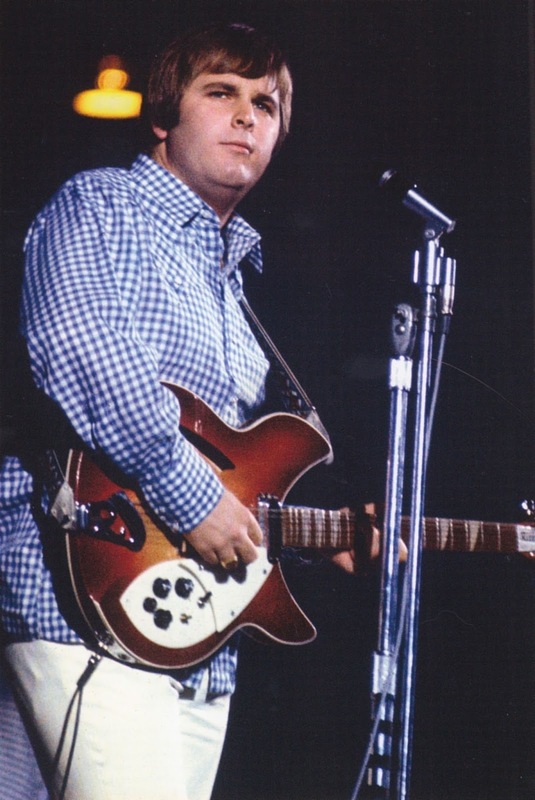 Carl was the only Beach Boy to play guitar on any of the recordings. Most of the parts were played by the pro's, who penciled in the parts during those sessions, where Brian would hum or sing each part to them. Some parts were made up on the spot. 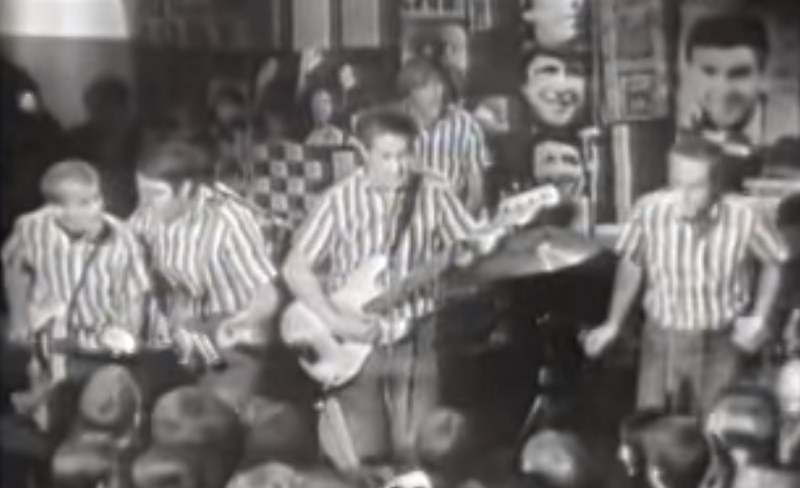 such as Carol Kaye''s great bass line on Good Vibrations. 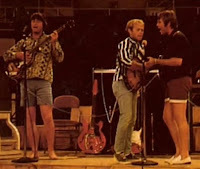 Carl Wilson, Al Jardine, and David Marks played guitar for the Beach Boys in concert and even on the first recordings. 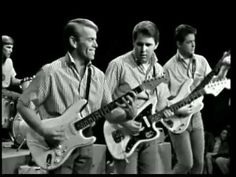 It is difficult to track down many of the guitars seen in the early black and white videos, because, as Al Jardine explains, “..we kept losing them because we toured so much. They’d get stolen right off the back of the truck. We could never keep them in stock. 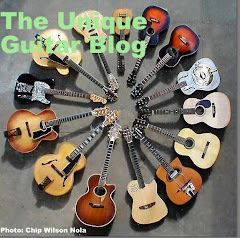 However we do know about some of the guitars that The Beach Boys used. Carl took guitar lessons at an accordion studio near Hawthorne, and from a musician that lived in the area named John Maus. John was in a group called The Walker Brothers, and taught guitar out of his home which was a couple of blocks around the corner from the Wilson family home. 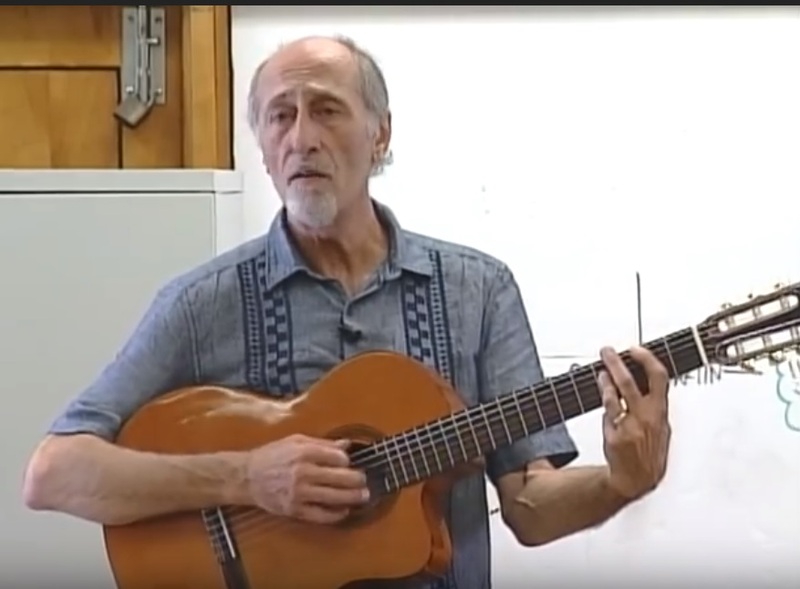 David Marks parents bought him a Sears Silvertone acoustic guitar in 1958. A year later he purchased a Carvin electric guitar from John Maus. 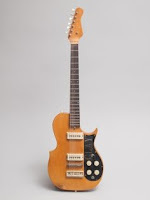 Carl acknowledged his first guitar was a Kay hollow body electric guitar that he received as a Christmas present. He played this guitar unplugged on the recording of Surfin’. 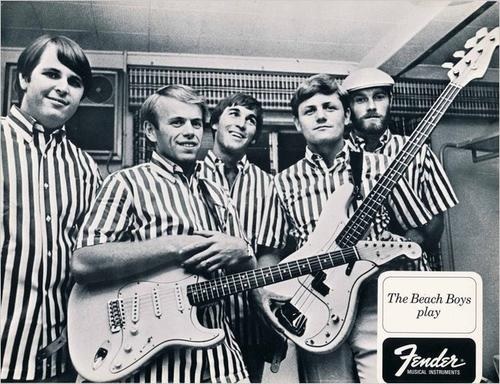 Once the record was released, the Beach Boys needed better equipment. Carl purchased a 1962 sunburst Fender Stratocaster, which he used briefly. Al Jardine was originally the bass player, and for a while played a stand-up string bass. This would figure, as Al was a fan of folk music. He is responsible for introducing the song, Sloop John B, which is properly titled, The John B. Sails. to Brian. 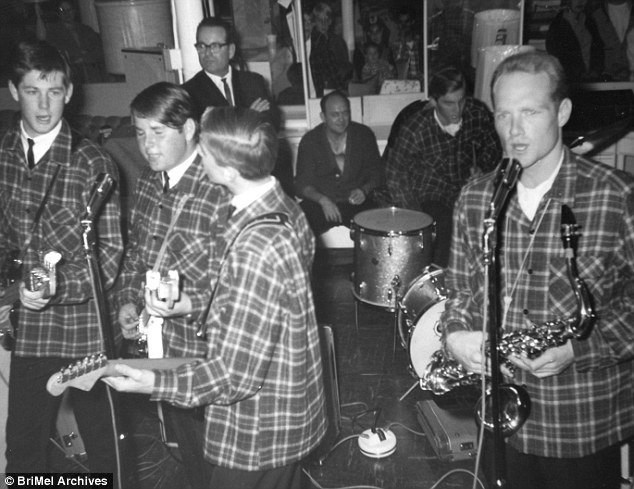 If it was up to Al, the Beach Boys would have been a folk group. We do not know what type of guitar Al used on early recordings, but due to the sound, we are fairly certain it was not a Fender. 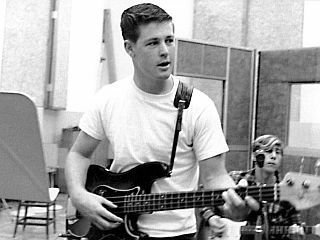 Brian’s first bass was a sunburst ‘62 Fender Precision Bass. 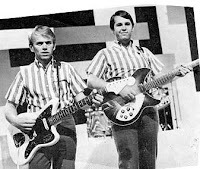 When Al Jardine left the group to go to school and David Marks came back he was playing a Rickenbacker, before switching to a ‘62 Sunburst Fender Stratocaster. Carl and David were playing through Fender amplifiers from the start. 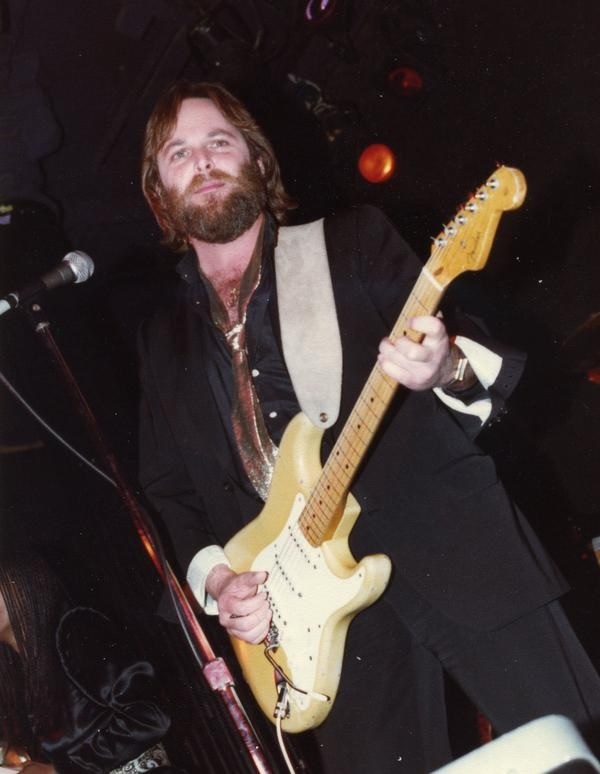 Marks used a white tolex Dual Showman, and Carl Wilson had a 1955-60 tweed Fender Bassman, along with a 1962 Fender Reverb unit. 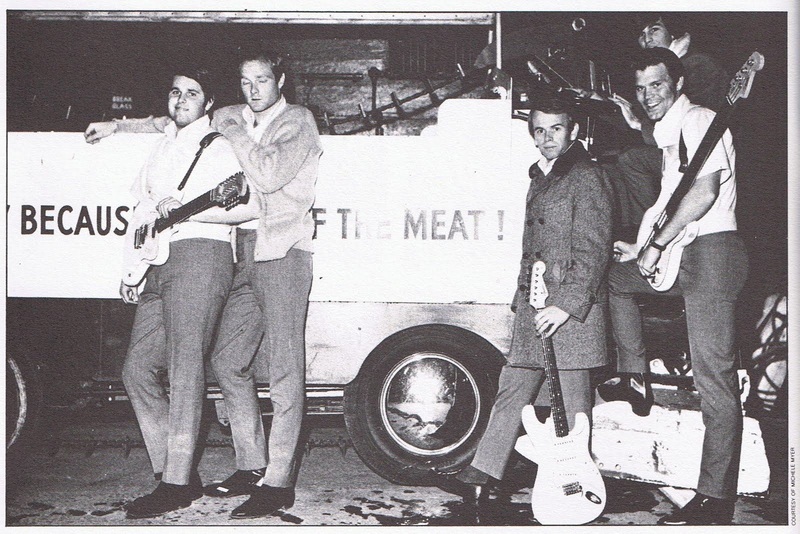 Brian played bass through a tweed Fender Bassman amplifier. In 1964 Carl added a Fire Glow (red sunburst) Rickenbacker 360/12, that he used on some songs. 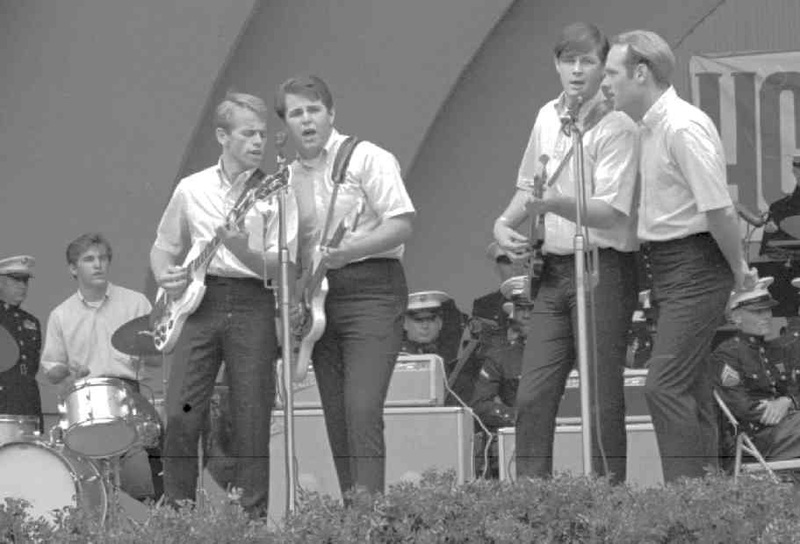 By 1964 Al Jardine was in the group again, replacing David Marks. Al originally used a white Gibson SG, but eventually got an Olympic White Fender Stratocaster. 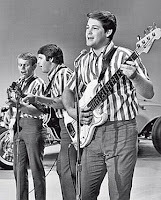 At this time Brian was playing a 1962 Olympic White Fender Precision bass. 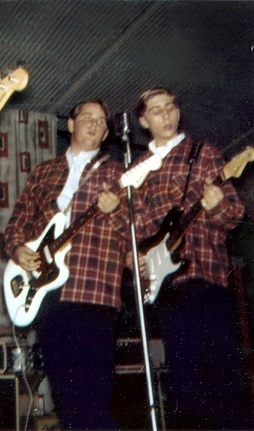 In 1964 both Carl and Al usually played through 1960-63 white tolex Fender Dual Showman amplifiers, and 1962 Fender stand-alone reverb units. They also used an Ampeg B-15 Portaflex bass amp. 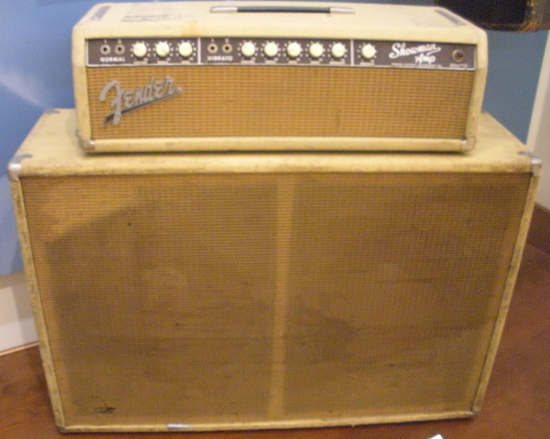 At some concerts they used a Fender 1961-62 Bassman amp with a 1964 white Tolex cabinet. 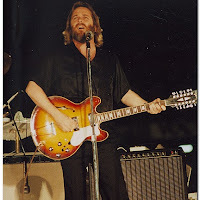 Besides the 1963 white Jaguar and the fire glow Rickenbacker 360/12, Carl Wilson used some other guitars in concert. 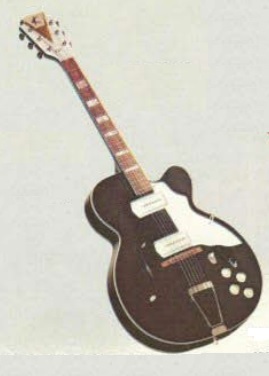 These include a sunburst Epiphone Rivera 12-string, that he used on Help Me Rhonda, and Sloop John B. 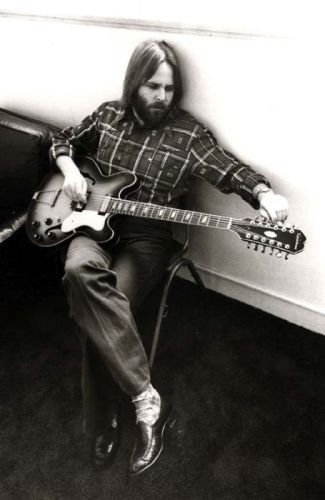 In addition to the Epiphone 12 string, Carl also owned a red-burst Gibson 12 string Es-335, both a black Les Paul, a sunburst Gibson ES-345, and a red Les Paul, and an Olympic white Fender Stratocaster. 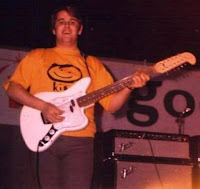 He also owned the a tobacco-burst Epiphone 12 string pictured above and, a yellow Fender Stratocaster, that he named Old Yeller, and a yellow Fender Telecaster. 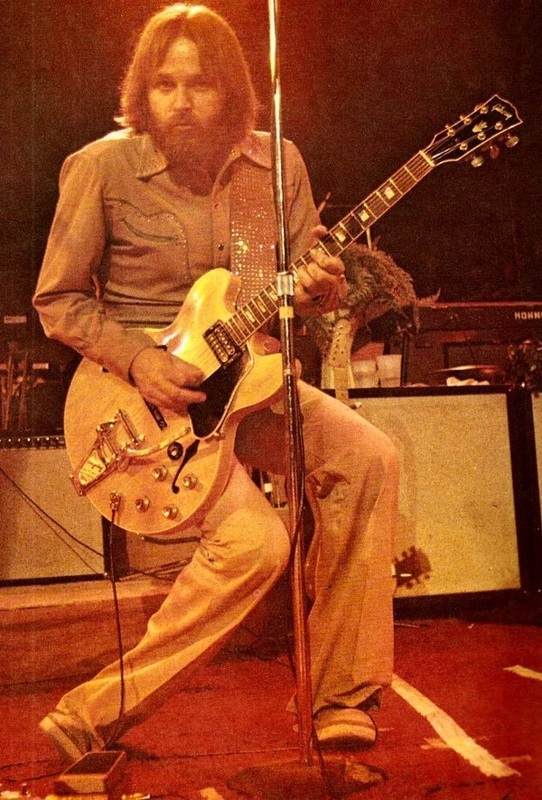 He also owned a blonde Fender Stratocaster, a red Baldwin 12 string, and a Les Paul Jr.
As for acoustic guitars, Carl owned a Martin D-41, a Gibson J-200, and a Yamaha APX700 acoustic-electric. Over the years a few guitars were stolen that include a Fender XII 12 string, and a Martin D-76 Bicentennial model. There are a few unusual guitar that he also played which included a white Fender Telecaster with a Bigsby unit. Fender did not offer those until 1967. Carl and Al Jardine may of received that gratis from Fender, since the Beach Boys did start endorsing Fender products in 1962. A music dealer once offered Carl a Mosrite, like the ones The Ventures played, in exchanged for endorsements, but he turned that down. 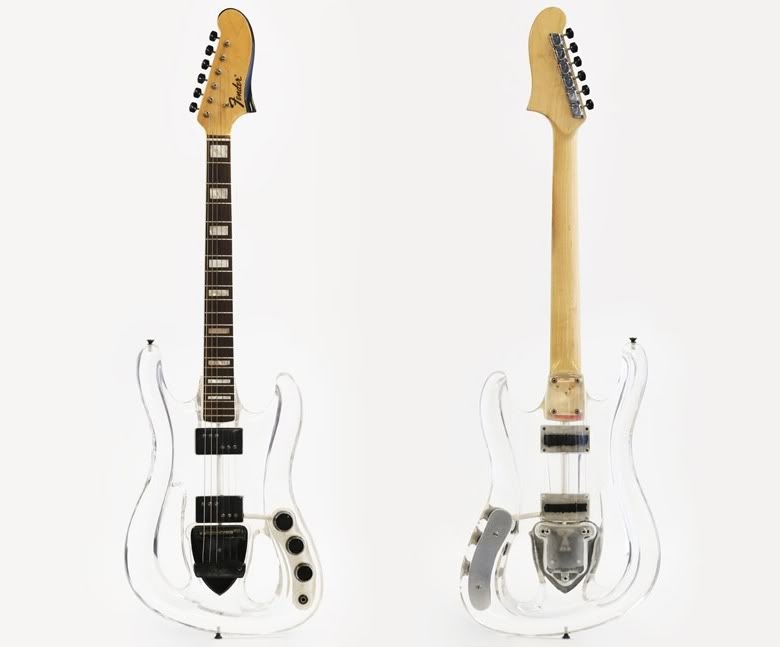 Fender also built Carl a special one-of-a-kind Lucite guitar. 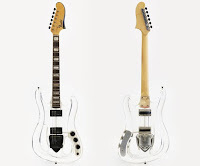 This guitar was a prototype model that never went on the market. It was hand built by Roger Rossmeisl. The body was somewhat similar in shape to a Stratocaster. This guitar had twin Seth Lover designed Fender Wide-Range Telecaster pickups. 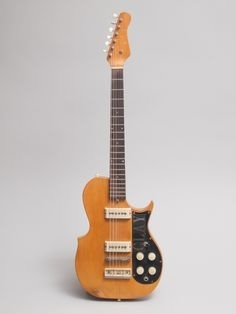 The unusually shaped neck was straight off of a Fender Starcaster, which was another Rossmeisll creation. The neck was capped with a rosewood fretboard, that had block pearloid markers. The guitar also had a vibrato unit, similar to the Fender Mustang vibrato. 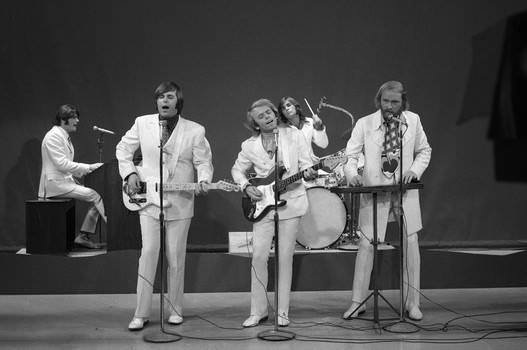 Al Jardine is usually seen playing his stock Olympic White Stratocaster. Though at some venues, he used a black Fender Stratocaster. However Al also played a Fender Jaguar on some songs. 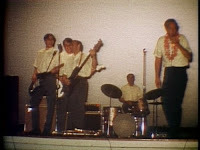 The 1967 white Telecaster with the Bigsby unit, that Carl is playing in a few videos may have actually belonged to Al. Al has a relationship with Fender Musical Instruments and Senior VP Richard McDonald. They still ship him equipment if he needs it. During the 1980's and 1990's, Al usually plays a white or red 1962 replica Stratocaster, with a rosewood neck, through a Fender Twin Reverb amplifier. He also owns some Martin acoustic guitars. 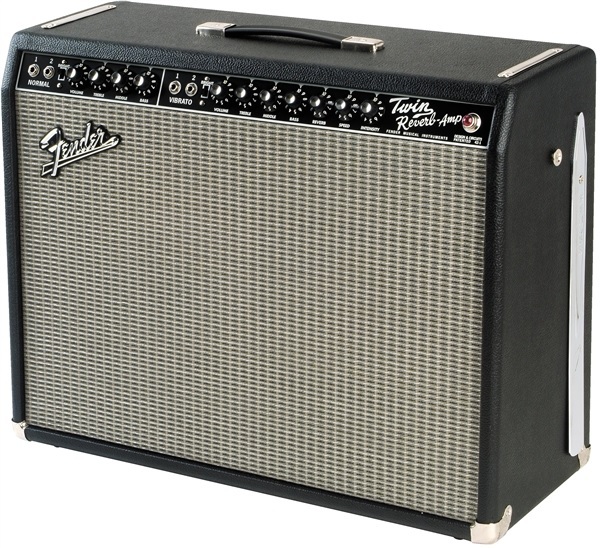 The Fender Twin Reverb was designed to be a combo version of the Dual Showman, although it has two 12” speakers with 85 watts of RMS power. 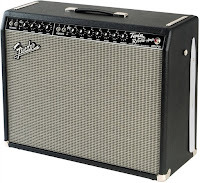 Through the later years the Beach Boys generally relied on Fender Twin Reverb amps in concert, I’ve also read that at one point they used Dumble amplifiers. 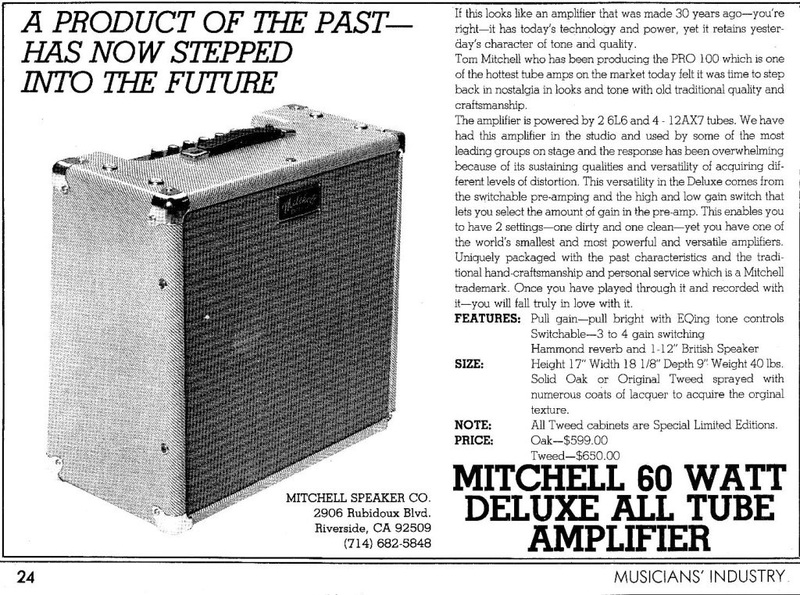 Carl owned a Mitchell amplifier the he really liked. 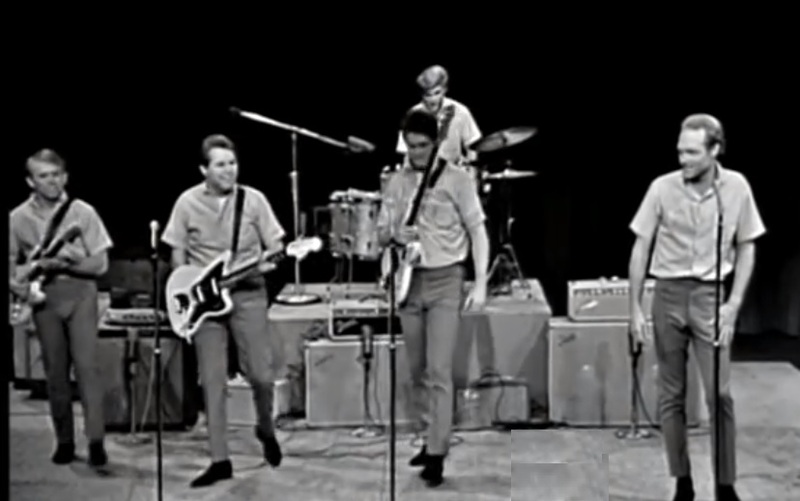 During their 50th Anniversary concert, the Beach Boys played through Fender Hot Rod Deville amps. 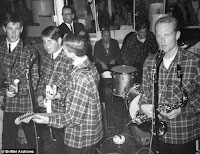 Carl was the usually the only Beach Boy to play guitar or bass on their recordings, although some of their first albums featured the members of the band doing the instrumentals.These were the albums done before the Wrecking Crew stepped in to do the instrumental parts. In an interview Carl stated that most of the guitar parts were recorded using a direct box to the mixing console unless Brian wanted an over driven sound and then they cranked up the amplifier. David Marks, he said the group originally used Fender flat-wound strings on their guitars. 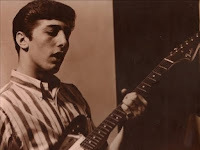 Carl stated that he switched to Ernie Ball medium gauge strings in the mid-1960’s. As the years progressed he continued to use Ernie Ball strings, but went to lighter, slinky strings. As for David Marks, he left the Beach Boys after the first five albums, but he maintained a career in music; first with his band, David Marks and the Marksmen, and later as a studio player. 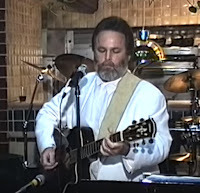 He is seen in this picture with a 1960's era Epiphone Crestwood guitar. Marks studied classical and modern music with Warren Zevon, and Robert Kraft. 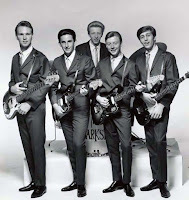 Marks also worked and recorded with composer Mike Curb, who wrote a lot of television theme music, and in the 1960’s put together a group called The MIke Curb Congregation. Marks came back to The Beach Boys in the 1990’s when Carl became ill. It was only supposed to be a temporary gig. Sadly Carl passed away, and Marks stayed on and was prominently featured in the 50th Anniversary concert. As the years have passed, there have been a lot of legal feuds between the band members. Money talks. 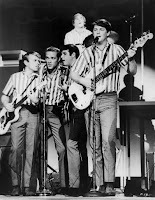 After the 50th Anniversary tour ended Mike Love, through legal maneuvering took possession of the legal name; The Beach Boys, from Brother Record Incorporated. That keeps the money flow going. 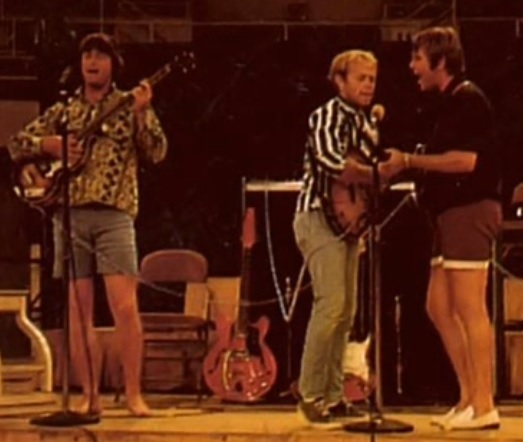 Prior to that, Mike Love was touring as America’s Band along with Bruce Johnson and David Marks. 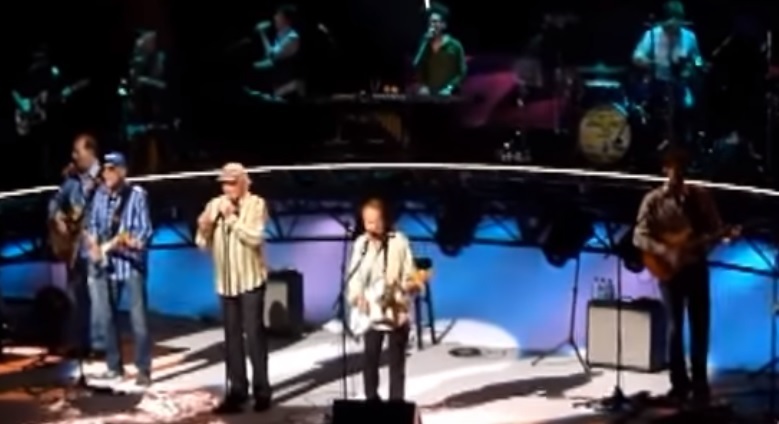 Al Jardine began touring as The Beach Boys; Family and Friends; a band that included several children of Beach Boy members including Brian's daughters, Wendy and Carnie. A court order was issued to halt using Jardine from using that name. 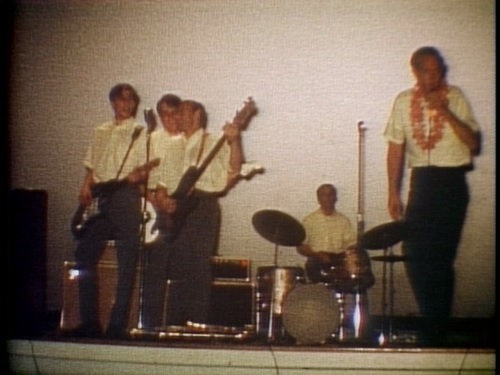 He also toured as the Endless Summer Band, with his son Matthew. Lawsuits and counter suits resulted. The 50th Anniversary Concert was a truce, and the band rallied to record one more Brian Wilson song called That’s Why God Made The Radio. Due to discontent and legal bickering between the members, and the deaths of the two Wilson brothers, it is unlikely we will ever see the original Beach Boys perform together again. But it was such a good run while it lasted. And we still have all those great recordings. The Beach Boys in the U.K. 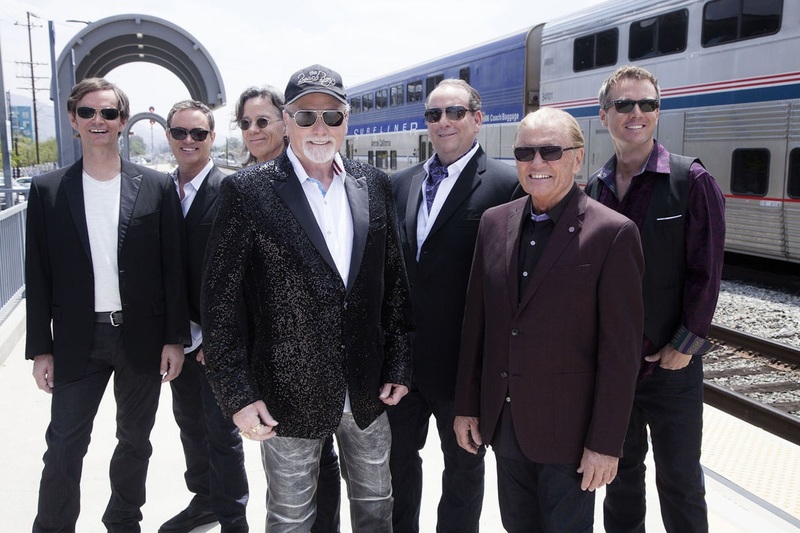 The Beach Boys music lives on despite the fact that the remaining members are in their mid-70's. Their music is upbeat, fun, great to dance to, and the lyrics speak to many generations. Click on the links under the photos for sources. Click on the links in the text for further information.